See below for the latest news and updates for FarmBooks. FarmBooks users please click here to download the 2019 tax table updates for your version of FarmBooks. The release of FarmBooks version 4.0.6.8 is coming soon. In the meantime, you can view the 4.0.6.8 Release Notes which detail the upgrades and enhancements to come. Current FarmBooks users, please click below to download the 2019 Tax Table updates. 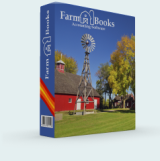 Click below to order FarmBooks compatible checks and supplies. Sanders Software is pleased to offer secure offsite backup services for FarmBooks. Users can choose to backup their FarmBooks database or backup their entire system.